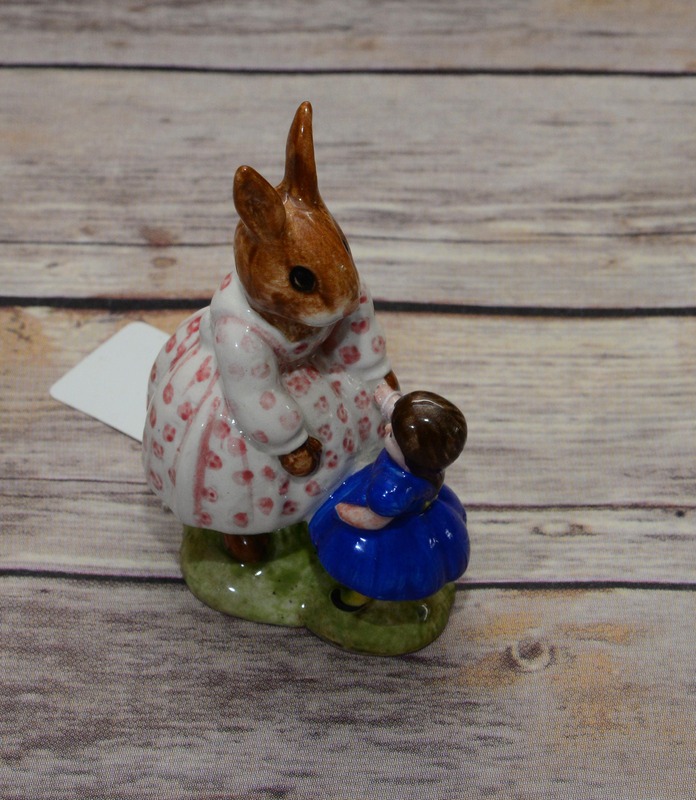 Royal Doulton D88 Dollie Bunnykins Play time. 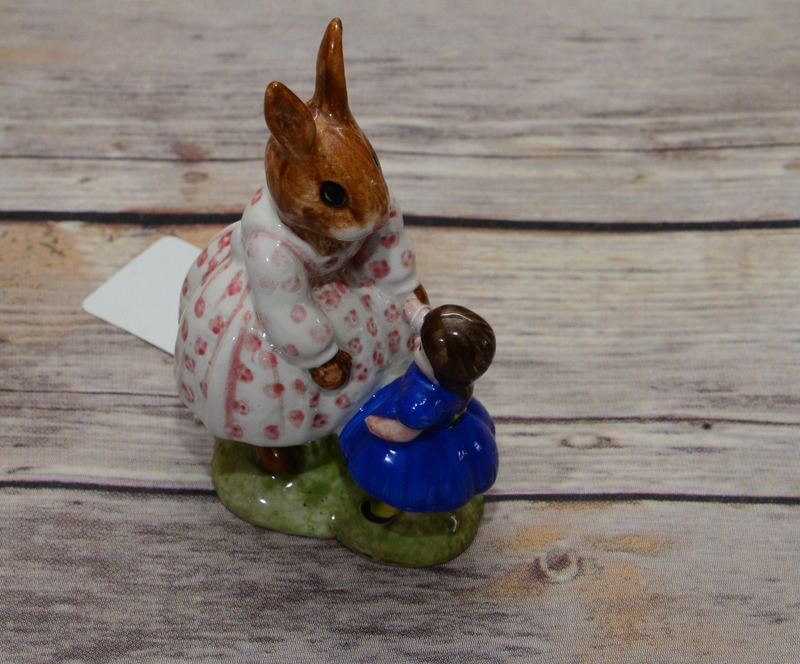 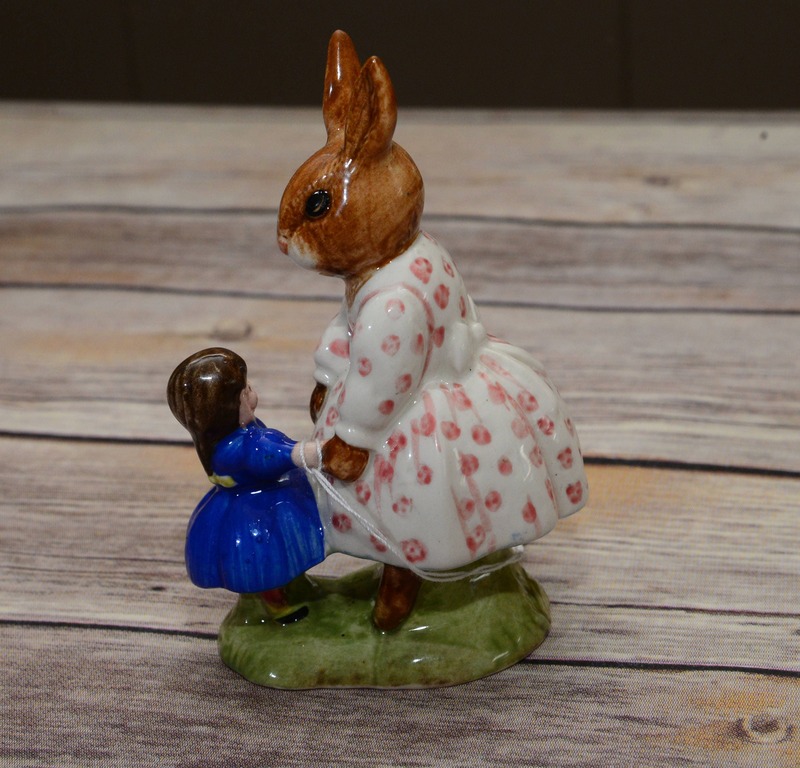 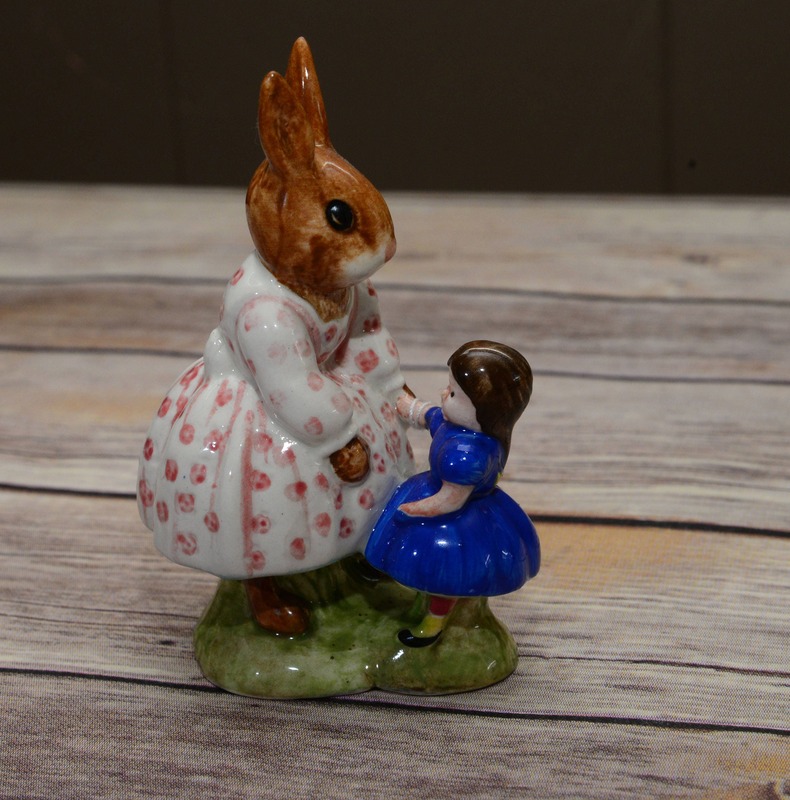 This figurine is just a little over 4 inches and features Dollie Bunnykins playing with her baby doll. 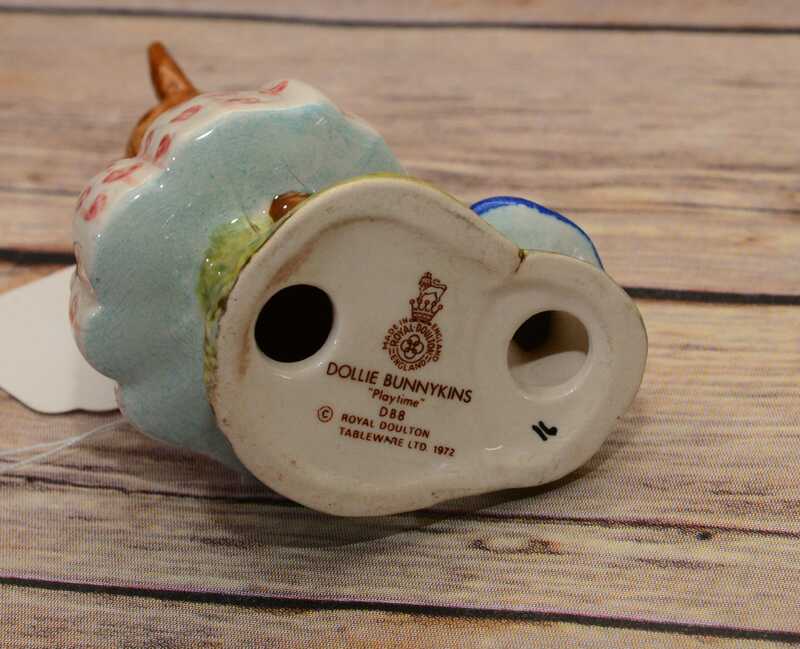 I don't note any damage on this piece. 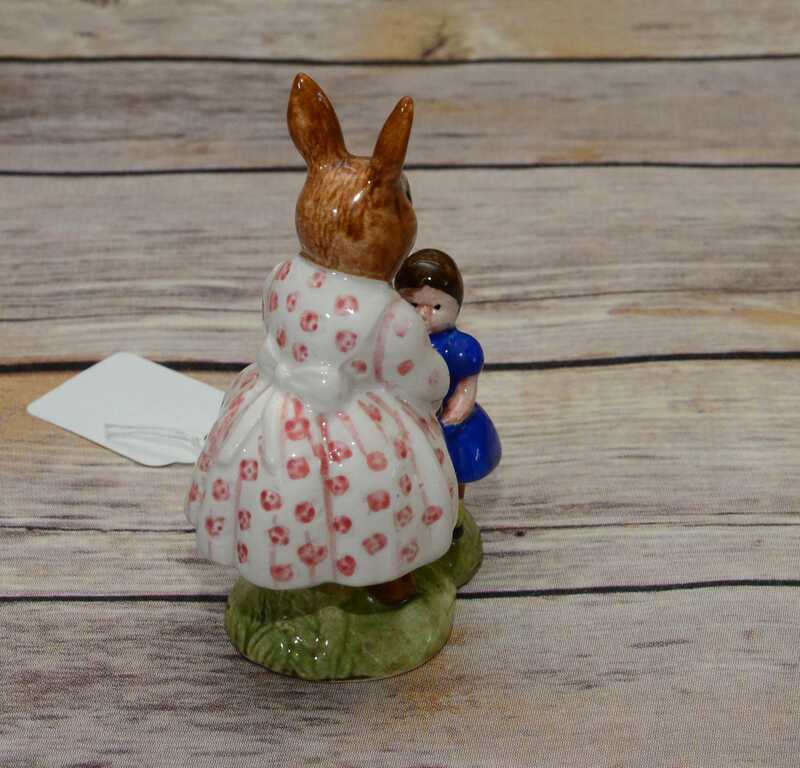 I do not have any boxes for these. 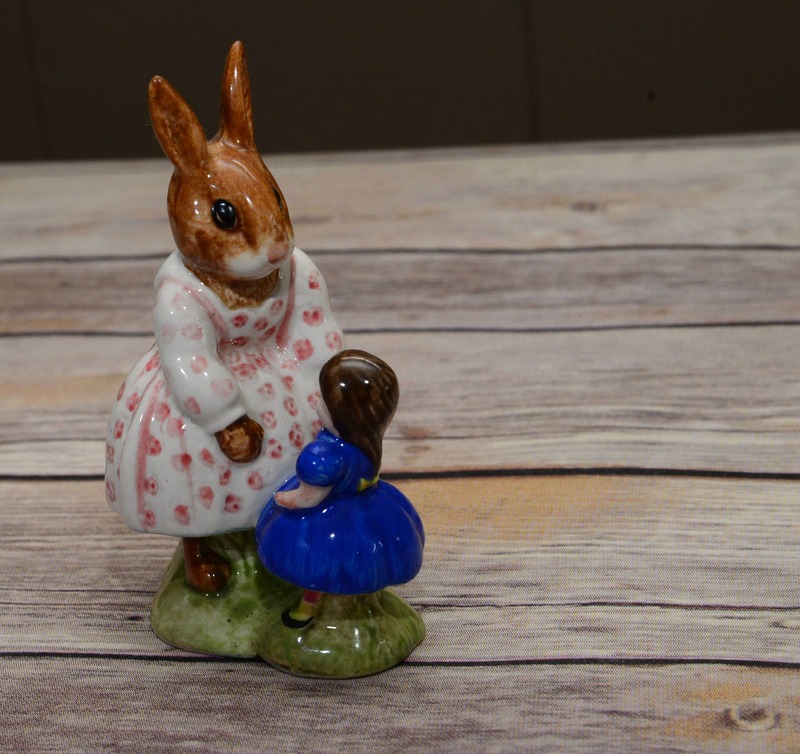 I am happy to combine shipping on them just let me know you are purchasing more than one and can revise the listing or refund shipping overage.